If you use a Apple Macintosh and plan to install the Windows 10 Creators Update version 1703; you should first install the previous release called the Anniversary Update or version 1607. Users attempting to install the Creators Update directly through the Boot Camp software, will encounter an error. 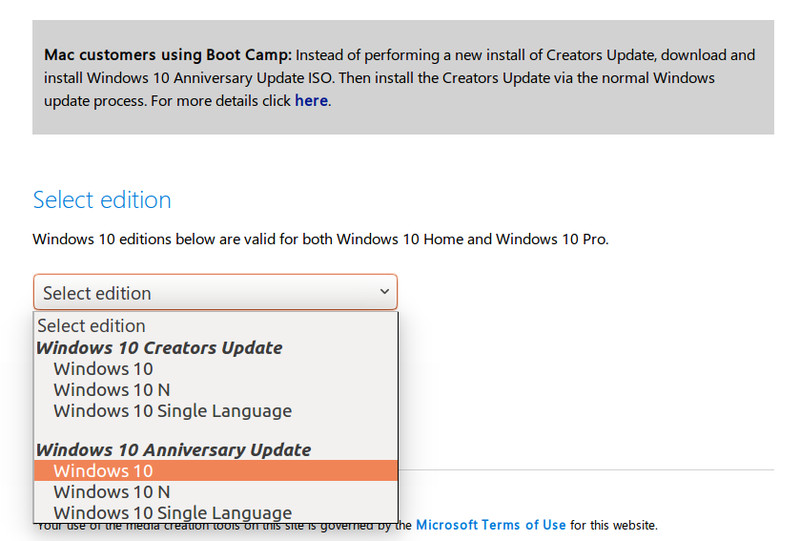 For a new installation of Windows 10 Creators Update on an Apple Mac using Boot Camp, you must first install the Windows 10 Anniversary Update using the ISO file, and then update to Windows 10 Creators Update. 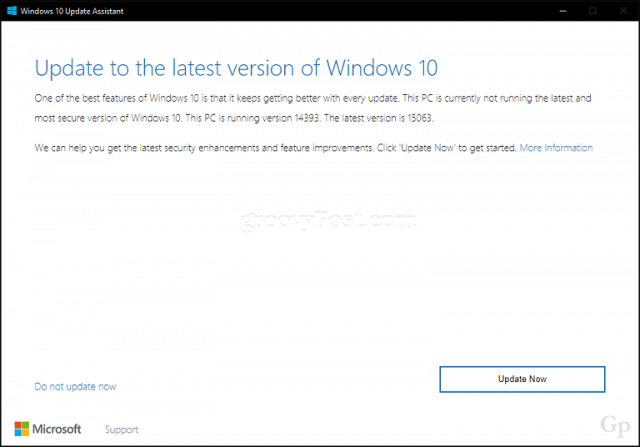 Microsoft is still offering the Windows 10 Anniversary Update as an available download. After installing the Anniversary Update, users can then use the Windows 10 Upgrade Assistant to upgrade to Creators Update.